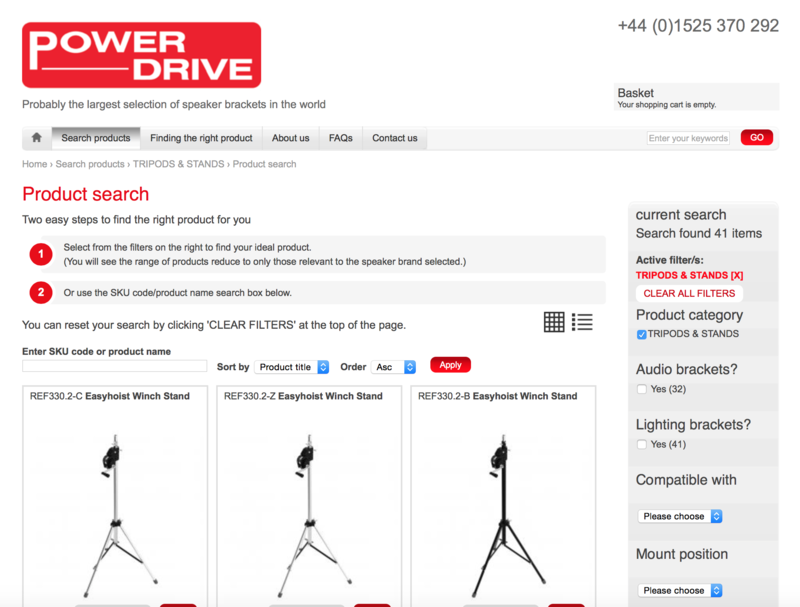 This new site provides improved search functionality across hundreds of products, with clear images and data to help you find the right product. If a reference document is required you can draw off a PDF datasheet for future reference. New products are frequently added and the compatibility database is updated daily, with our intention to finesse product search so that specific speakers' brackets can be rapidly identified.